The health of a company is more than just the bottom line. Staff retention, sustainability, community engagement, profit and loss, culture, systems and databases–just a few examples that you hear about when you study a business degree. But what you learn at university and what happens in the real world may be quite different. So what is it that really makes a healthy profitable business? Ask a hundred business people and you will probably get a hundred different answers. But the common theme is likely to be centered around the people. The 'business environment' we work in today is very different to the environment of 28 years ago when Toop&Toop started. The pressure on companies to move quickly, to be constantly connected and the expectations to always be available are the new challenges that businesses face today. Suzannah and I have thought a lot about this. In a 24/7 profession, how do we deliver the very best service to clients without burning out? We decided to think outside the square and have been working on a plan since January. A plan to provide our team access to a wellness expert, provide a corporate gym, create team building healthy activities and coach our team on healthy habits. Last week our plan became a reality as we launched our Toop&Toop Wellness Centre, an Australian first–possibly a world real estate first. 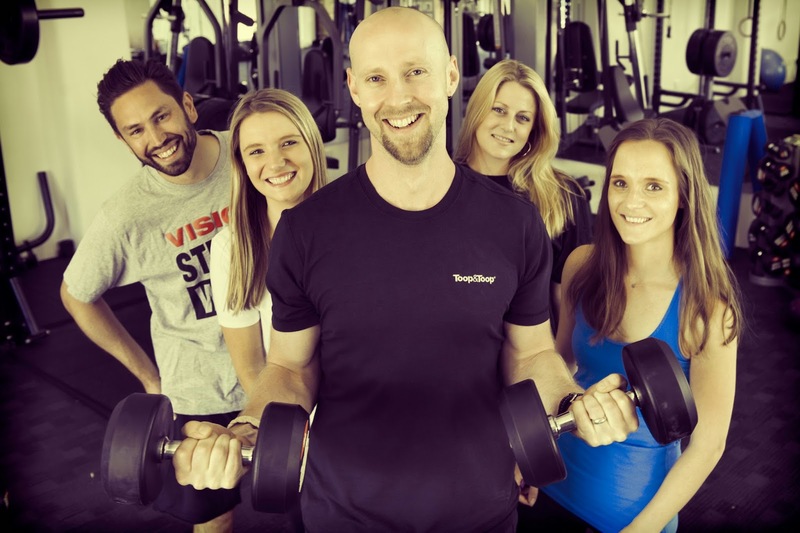 Extremely exciting–breaking new ground as we turn our attention to running a health conscious organisation and enhancing the lives of our team. Suzannah and I knew that our team were often faced with compromise–to stay back and ensure the job is done properly vs getting to that 6pm gym class. With the opening of the Wellness Centre, our team can now do both, ensuring that they feel fresh and energised during the week and also delivering the customer service levels we as a business expect. Mental and physical wellness is so intertwined with our worklife in real estate so for us it is a no brainer that the two need to come together in a business like ours. Daily group classes are under way...Circuit, Boxing, Boot Camp, Pilates, Yoga as well as one on one consulting with our team to establish their personal health goals. The result? Our team have completely embraced it and they are already experiencing and enjoying the benefits of clarity and energy throughout the day. Our aim is simple. Make it easy for our team to become fit and healthy, both mentally and physically. By creating an environment focussed on our team's health, we passionately believe this will ultimately lead to a more motivated team, leading to higher energy levels with improved productivity and service for you, our client. A healthy and more wealthy team... A win/win for everyone!! !